What is Vitiligo and Who is VITFriends? at the 1st gathering on June 25, 2011.
who was diagnosed with Vitiligo in 1986. Let nothing stand in their way! US Capitol Steps, Washington, D.C. This event that was a major success! Vitiligo is REAL! 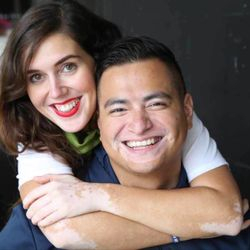 Living with Vitiligo, Eczema, Discoid Lupus, Atopic Dermatitis, Psoriasis, or any other form of skin condition can be for most patients, a physical, mental and emotional challenge; but it IS possible. VITILIGO - What is this THING? What is Vitiligo? Vitiligo (pronounced - VITTLE - EYE -GO) is a skin condition resulting from loss of pigment which produces white patches. Who Gets Vitiligo? Vitiligo affects one or two of every 100 people. About half the people who develop it do so before the age of 20; about one–fifth have a family member with this condition. How Does Vitiligo Develop? It is believed that VIT is an autoimmune pigmentation disorder that destroys the melanocytes (cells which make pigment) leaving skin and hair depigmented. It results from complex interaction of environmental, genetic, and immunologic factors, which ultimately contributes to melanocyte destruction.Typical vitiligo shows areas of milky-white skin. However, the degree of pigment loss can vary within each vitiligo patch. Vitiligo often begins with a rapid loss of pigment. This may continue until, for unknown reasons, the process stops. Cycles of pigment loss, followed by times where the pigment doesn't change, may continue indefinitely. How is Vitiligo Treated? Sometimes the best treatment for vitiligo is no treatment at all. However there are several different ointments and things to rub on the skins, as well as light theraphy now available. Is Vitiligo Curable? At this time, the exact cause of vitiligo is not known, however, there may be an inherited component. Although some treatment is available, there is NO single cure. Concerns to be considered: Vitiligo is a condition that can have major affects on ones Quality of Life. Vitiligo can be an emotionally devastating condition that can affect all involved. 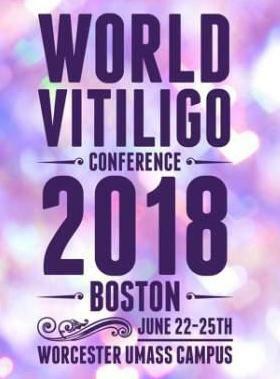 Supporting, encouraging and empowering individuals with vitiligo is our primary goal and is done mainly through our website and our annual conferences. Research: There are several theories as to what is triggering and influencing this autoimmune dysfunction. Many believe that this likely means that vitiligo is the result of a multi-faceted set of factors, including a complex set of genes, stress, accumulation of toxic compounds, infection, autoimmunity mutations, and impaired melanocytes. Research is focused on understanding this interplay of factors in order to improve existing therapies and, for the first time, be able to design therapies to stop depigmentation. 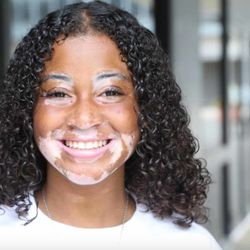 Vitiligo is becoming increasingly prevalent. What are your concerns? 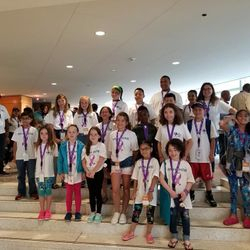 * that you would consider helping VITFRIENDS with this work of educating others. 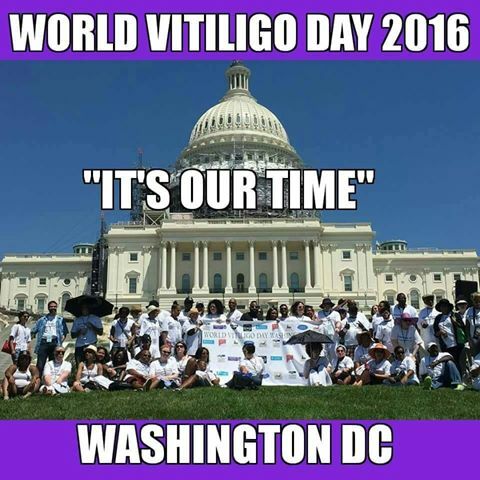 * that you would help us as we support and encourage individuals with Vitiligo. * that you would attend our annual conference and also share it with others. 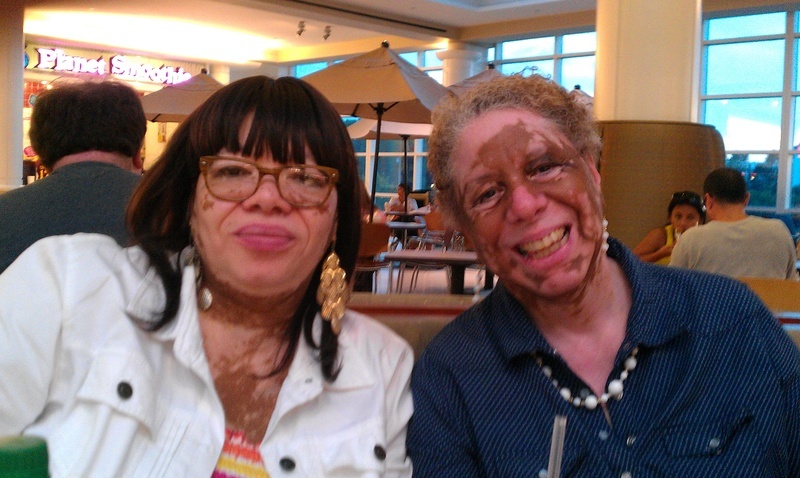 * that you would distribute our brochures, flyers and postcards to individual you encounter with Vitiligo. * that you would pray for this organization. * that you would GIVE to this non-profit organization. Please email us your questions: vitfriends01@aol.com - or - visit our GUESTBOOK and share your thoughts. 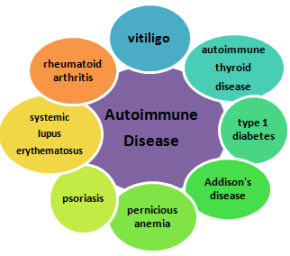 Autoimmune diseases are the result of the other side of immune dysfunction, whereby the immune system becomes overactive, or hyper-responsive, and begins mistakenly attacking cells within its own body. In the case of vitiligo, your body’s immune system is attacking your melanocytes, which are your pigment-making cells. Though vitiligo is treated with immune-suppressing therapies, they are most often topical ointments or UV light, which do not suppress the immune system to the extent of becoming immune-compromised. 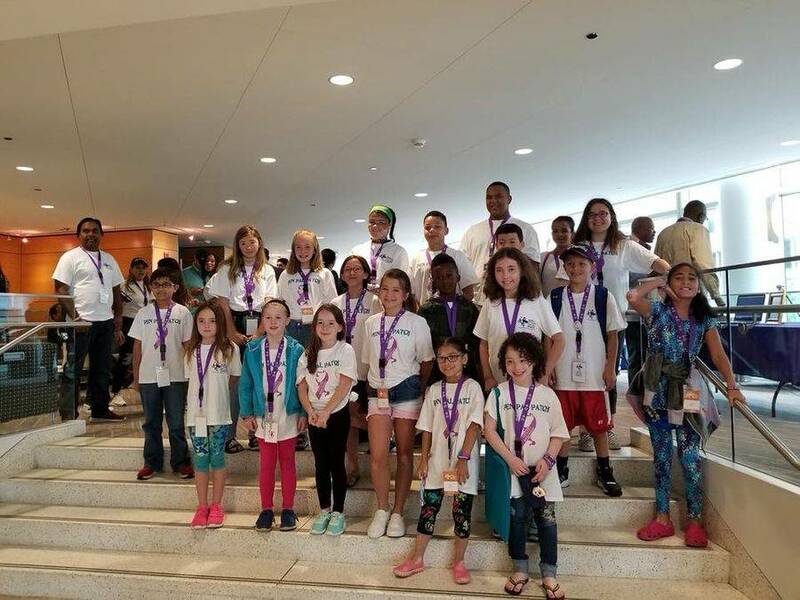 Our organization is a Silver-level GuideStar Exchange participant, demonstrating its commitment to transparency.